Not sure exactly what flavors to choose for some lucky recipient? Let them choose! 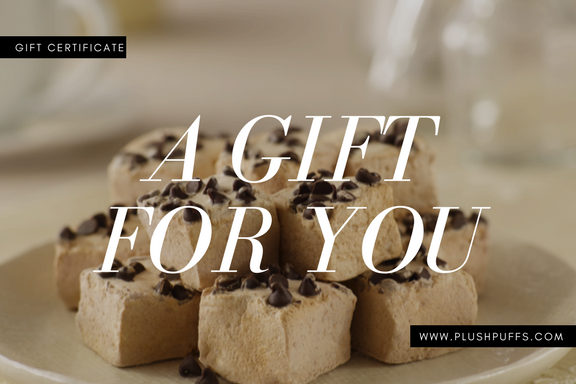 Buy them a Plush Puffs Hand Crafted Marshmallows gift certificate in your choice of denomination and they can pick their own treats.